On this one hour introductory flight you will be getting an amazing flight lesson that takes you from Montgomery Airport, Along the San Diego coastline and past the departure end of Lindbergh field. Once you pass Lindbergh you will fly through the beautiful San Diego bay over the Coronado bay bridge and return to a super smooth landing. You are the one at the flight controls for the entire flight right from the take off. A professional pilot from Coast Flight Training will be there to talk you through what to do and to back you up on the controls! 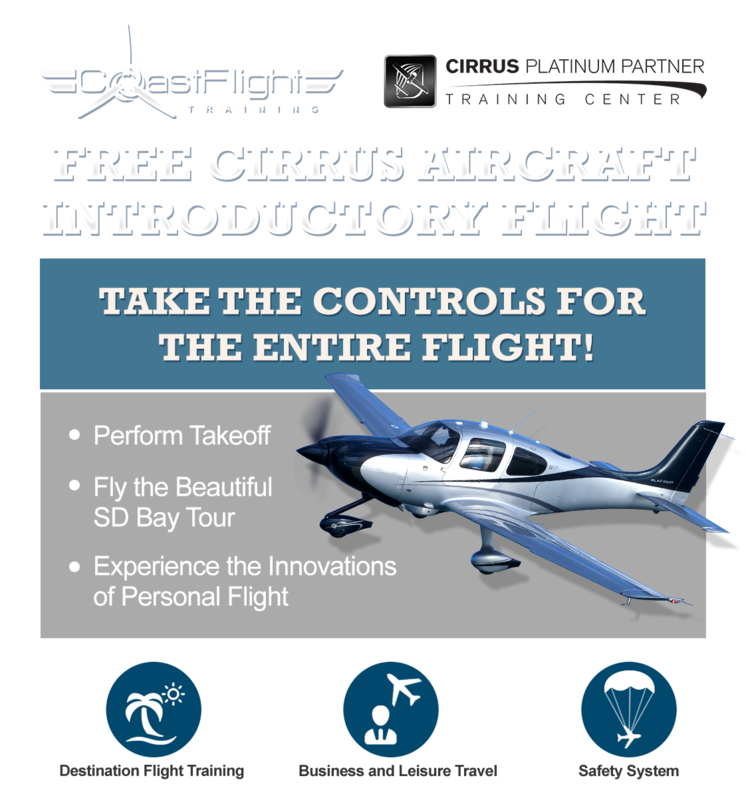 What better way to break into flight training then with this amazing lesson over San Diego.